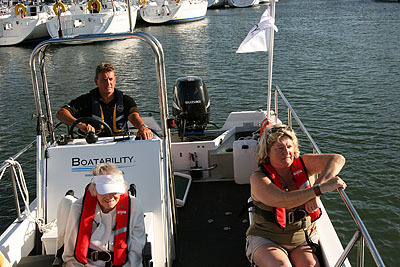 Imagine chartering and cruising the exciting and breathtaking waters of the Solent aboard your very own floating palace. 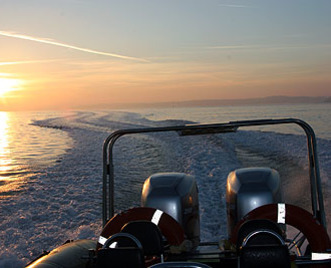 Alternatively go for an exhilerating Rib ride or simply take one of our Dories out for a day's fishing. Starting the day with breakfast and Bucks fizz on board, taking an enjoyable cruise down through Portsmouth Harbour, taking in the views of our very own Roman Castle at Portchester, then down along side our Royal Naval warships. 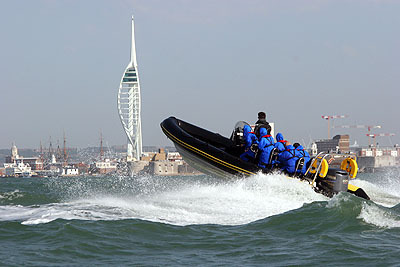 You will also pass HMS Victory and HMS Warrior which are two of Portsmouth’s landmarks along with the Spinnaker Tower. Once out into the Solent we will take you past Spitbank Fort which is located near where the Mary Rose was lifted, where the Buoy locating it is still in place. We will then have a leisurely cruise through the Solent, passing Osbourne House where Queen Victoria used to spend her summer vacations. You will then have the choice on your charter of visiting Yarmouth, The River Beaulieu or Cowes where we will then stop for lunch, either on board where you will be served a buffet with drinks, or a recommended restaurant of our choice, or yours! Down to the River Medina where we have the popular Folly Inn, which was known many years ago as having a barge moored alongside which was used to store illegal alcohol. After lunch we can then anchor out of Osbourne Bay for a relaxing drink and canapés, where the brave can take a dip if they choose to do so, or to just sit and enjoy all the excitement of the Solent and all that it offers at a very reasonable and affordable cost. We can offer Charters on a daily or weekly basis, with fully qualified crew on board, to make sure your day is one to remember always with fond memories.